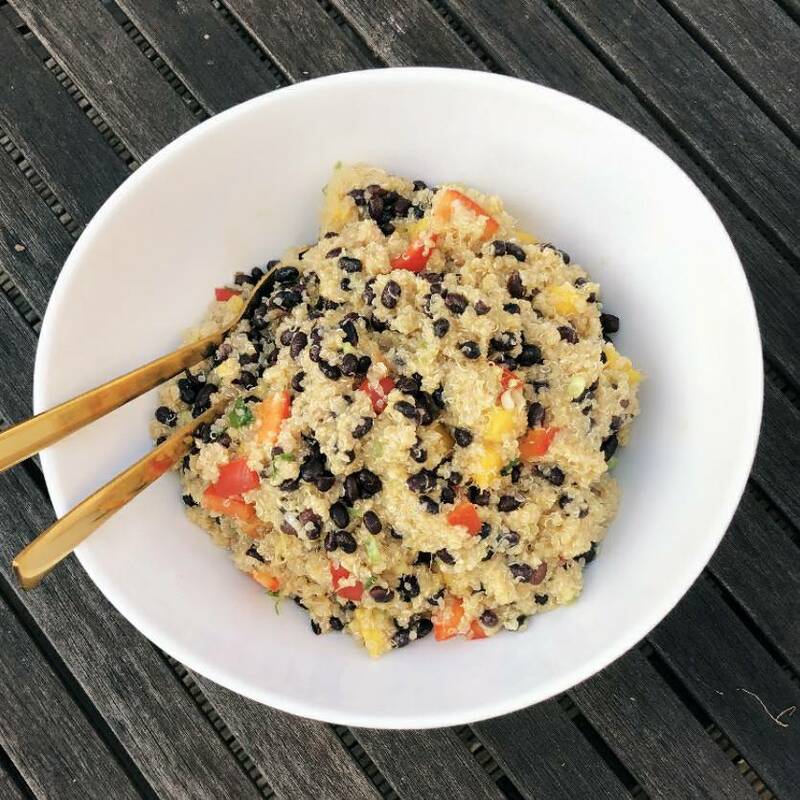 A favourite dinner recipe contributed by Dr Chloe Corbett who is passionate about helping people create healthy lifestyles! In a small pot bring the vegetable stock to the boil. Add the quinoa and the black beans and turn heat down to medium-low, cover and simmer for 15-20 minutes, stirring frequently, until most of the water has been absorbed. Remove from heat and allow to cool. Dice the vegetables and fruit and add to a large mixing bowl. Make the salad dressing by whisking all the ingredients together and set aside. Add the cooled quinoa and beans to the bowl of vegetables and pour over the dressing. Mix gently until the salad is well combined.